Welcome to Dual Language Reading Books! 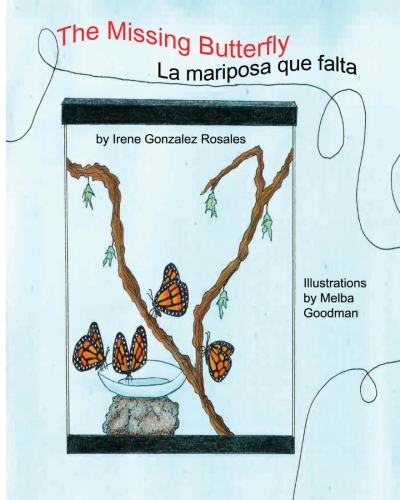 All of our books are in English and Spanish with a list of the book's vocabulary at the back of each book in English followed by a list of the words in Spanish. This "Esmeralda" book has been created in calendar format and features the months of the year. A colorful picture storybook, Esmeralda Does Very Good Things is an excellent springboard for talks with children (pre k-3rd grade) about the importance of being mindful of others, caring for the animals on our planet and taking care of the environment. 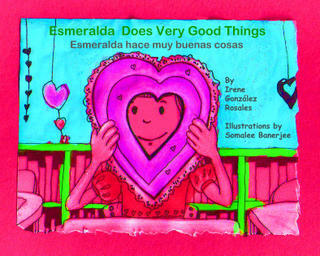 This “Esmeralda” picture book teaches children the “very good things” they can do to help make the world a better place. This handy dual language paperback is an excellent tool for learning or practicing reading in both English and in Spanish. Educators will appreciate the lists of vocabulary words and comprehension questions at the back of the book! After waiting in anticipation to see all of the butterflies finally coming out of their cocoons, the students are sad to see that one of them has been accidentally let free to fly around the room. Sadly, the students cannot find it to save it from unknown doom. See how the students nurse the butterfly back to health just in time to release it in the school playground. This heartwarming yet educational story is a great supplement for any child’s or classroom science library. When children feel useful they develop a very healthy self esteem. Like all small children, Esmeralda loves to learn to do chores. Her mother and grandmother encourage her enthusiasm. From her mother Esmeralda learns to do daily chores, and from her grandmother she learns to do some uncommon tasks. 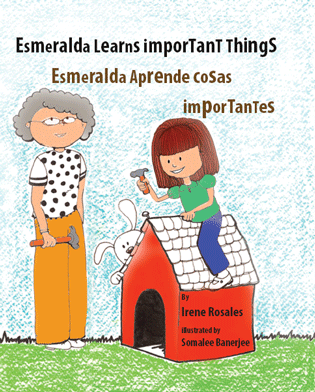 Children will love reading about all the grown-up chores that Esmeralda learns how to do.